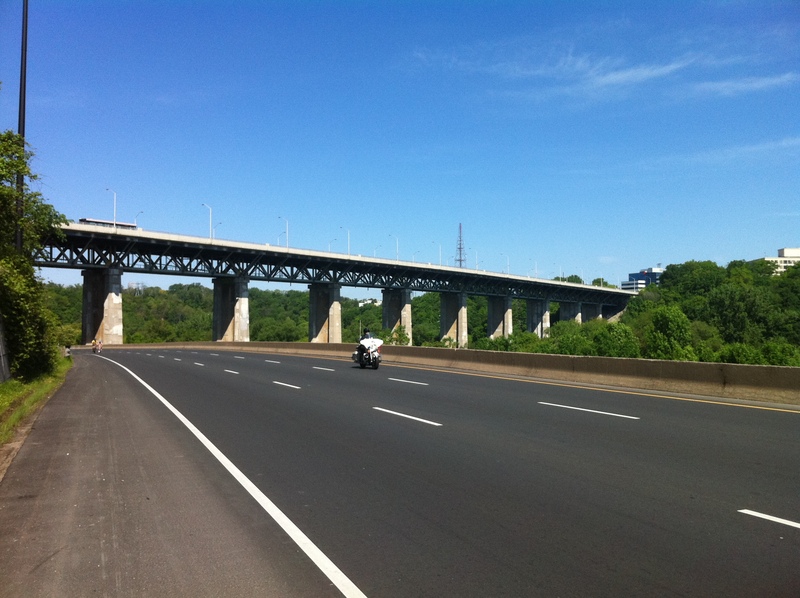 Unlike the Mikes and Suzanne who all left town to race this weekend, I decided to stay back in Toronto and ride on the highway. 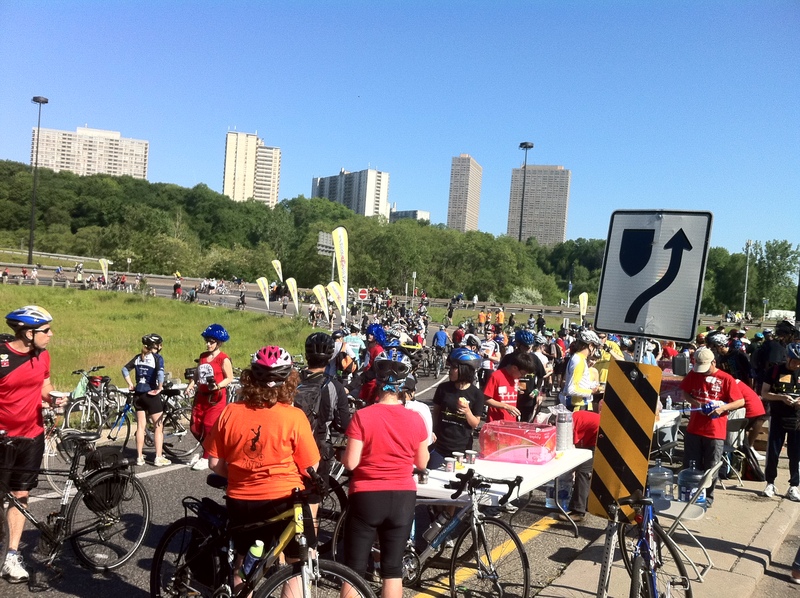 That’s right, the Ride for Heart was on which meant the 4 main highways into and out of Toronto were shut to traffic and were covered in bikes. I biked 70kms on beautifully paved 6 lane highways. There were people out there like me, cranking away, getting their workout done, there were families with kids (some of who were cranky after pedaling 10kms), there were people on unicycles, tandems, hexacycles (I just made that word up), people in wigs, people with wings, skirts, shorts and suits…in short, in a beautiful, beautiful day.